Who Do You Talk to When You Hit Burnout? How Many Months and Pitches Did It Take to Get Your First Outside Round? Finder's Fee: Who Should Pay It? How to Get an Adviser that Does Not Get It to Get It? 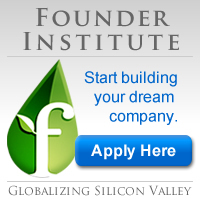 The Founder Institute, which was spawned from TheFunded.com, has helped launch over 600 female-led businesses across six continents since 2009. These companies have collectively raised over $65M in funding. On Tuesday December 13th, we will host an online "Female Founder Demo Day" event, where five up-and-coming female-led FI startups from across the globe will present their businesses to top investors for feedback. Fund: Providence Equity Partners Inc. The title sums up our experience. Pedal to the Metal or Keep It in First Gear?